HAPAC, the Hellenic American Political Action Committee, a force created by George Douris in the mid 1970’s was resurrected. At its kick-off meeting held at the Columbus Citizens Foundation in Manhattan, HAPAC took on new life since the passing of its founder George Douris in 1995. John Catsimatidis, of the Red Apple Corporation maintained HAPAC for the past 10 years and in January of this year passed it on to Archie Mavromatis, its new executive director. The new board, consisting of civic, political, labor and business leaders met and wholeheartedly supported HAPAC’s rebirth. “It was the dream of George Douris to give political prominence to the Hellenic community of New York and I am proud to see that HAPAC is back”, said Evangeline Douris, wife of HAPAC’s founder and chair and co-founder of HANAC, the Hellenic American Neighborhood Action Committee, Inc. The meeting began with executive director Archie Mavromatis welcoming all present and announcing the new officers of HAPAC. They included: President, John Catsimatidis; Vice President, Dennis Mehiel; Secretary, George Almiroudis; Treasurer, Hercules Argyriou; Counsel, Peter Kakoyiannis, Esq. ; Executive Assistant, Lena Varis. Board of Governors: Arthur Cheliotes, Stephen Cherpelis, Lee Gounardes, Hercules Hanjes, Dimitrios Kaloidis, Savas Konstantinides, George Makkos, Charles Marangoudakis, Nicos Mouyiaris, Peter Papanicolaou and Peter A. Vlachos. Members Emeritus: Evangeline Douris and Hon. Michael Giannaris. The committee is still in formation as a number of individuals have yet to respond. “This is the right time for HAPAC’s return and under the capable leadership of Archie Mavromatis and this energetic and committed board of officers, HAPAC will once again regain its rightful place as the political voice of the Hellenic community in New York,” said John Catsimatidis, president. HAPAC a non-partisan committee has set out an ambitious agenda which includes conducting fund raising efforts on behalf of candidates seeking re election, as well as election to higher offices. 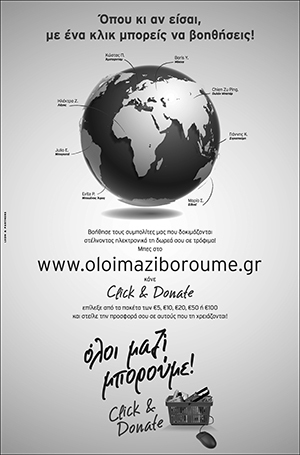 We will also promote an energetic campaign for the Hellenic youth to get involved in public service. In addition, HAPAC will be committed to addressing and promoting the issues and concerns which directly impact businesses and the Hellenic American Community of New York. Plans for a newsletter, brochure and a web site are all being developed. An extensive membership drive program is being launch throughout New York City, headed by executive assistant, Lena Varis, in order to enlist new members. For membership information call 718 423-1310. A public speakers series will also be organized to invite the general public to attend and hear prominent individuals from businesses and government. HAPAC’s first guest was City Council Speaker Gifford Miller, who praised the organization for its reactivation and spoke of the need for such a group to influence public policy. “It is indeed a pleasure to be here on this historic occasion,” said Archie Mavromatis, executive director, “when such a group of distinguished leaders have come together to resurrect the dream that George Douris had for the Hellenic community.” He continued, “Our intent is to be inclusive and from this elite and impressive group of individuals from our community, reach out and invite many more to become involved. United, we will bring HAPAC to greater heights by promoting leadership.